Gasp! 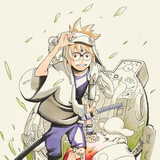 Even…more…new spring 2014 anime announcements from Crunchyroll! Make room in your queues because both Brynhildr in the Darkness and Broken Blade TV EDITION begin streaming shortly. Brynhildr in the Darkness is set to broadcast every Sunday starting on April 06, at 7:00am Pacific Time, and free members able to watch one week later. 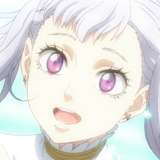 More information can be found on www.crunchyroll.com/Brynhildr. 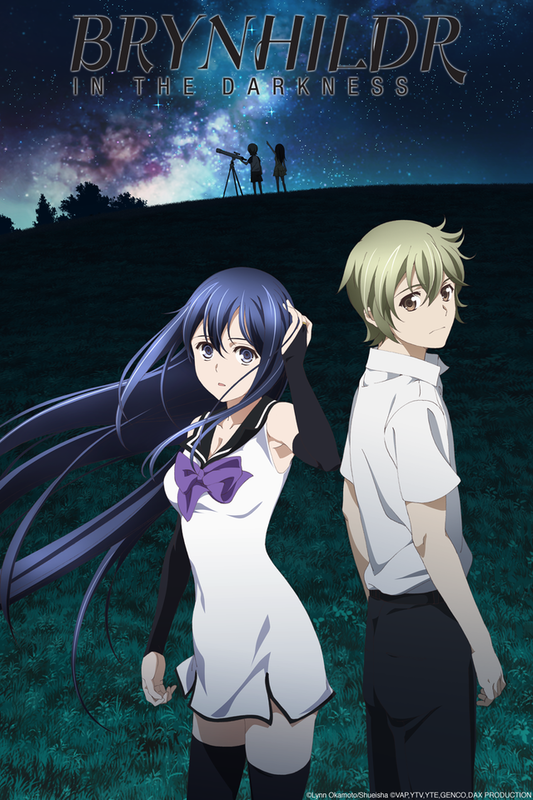 Based on the original manga by Rin Okamoto, Brynhildr in the Darkness focuses on the high school student Ryota Murakami, who cannot forget his friend Neko Kuroha whom died in an accident when they were children. He obsessively tries to fulfill his promise to Neko by attempting to find proof of the existence of aliens. One day, a girl who has the same name and looks like his deceased friend transfers into his class. It turns out that she is a witch that has run away from a research lab. The anime stars Risa Taneda, Beyond the Boundary’s Mirai Kuriyama, as Neko Kuroha and Ryota Osaka, known for his roles as Nice from Hamatora and Sadao Maō from The Devil is a Part-Timer, will be playing Ryota Murakami. 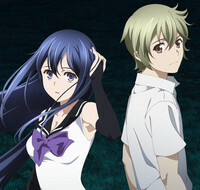 Brynhildr in the Darkness will be available to Crunchyroll’s audience in the following territories: U.S.A, Canada, United Kingdom, Ireland, South Africa, Australia, New Zealand, Finland, Norway, Sweden, Denmark, Iceland, Netherlands, Turkey, Latin America (Central and South America including Caribbean), Spain, Portugal. Broken Blade TV EDITION is set to broadcast every Sunday starting on April 6, at 8:00am Pacific Time, and free members able to watch one week later. 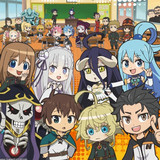 More information can be found on www.crunchyroll.com/brokenbladetv. A spin off of the 2012 six-film release, the story of Broken Blade TV EDITION takes place in Cruzon, a land where people are born with the power to control quartz. This power allows them to control giant complex battle suits called Golems. Rygart Arrow is an un-sorcerer, a rare individual who does not have the ability to control quartz. One day he gets letter from the king of Cruzon, his friend from military school. The king informs Arrow that war is approaching and about the discovery of an ancient Golem that no one has been able to move. Will an un-sorcerer be the key to activating it? 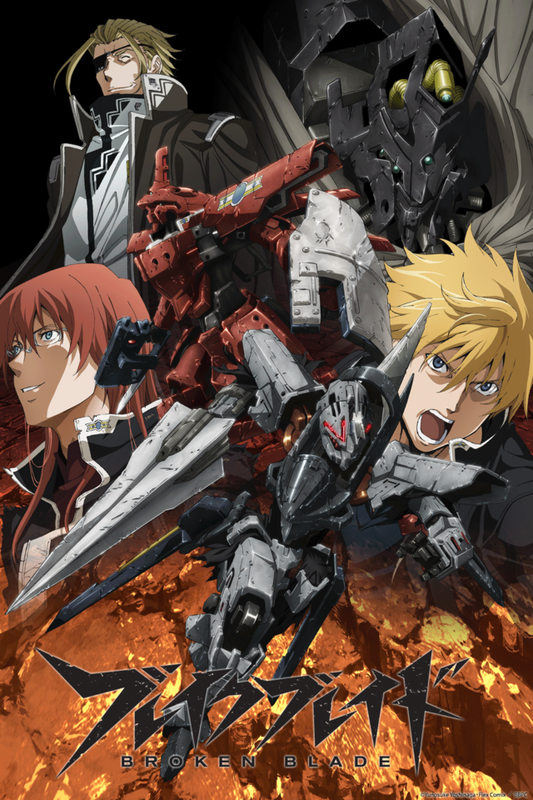 The new Broken Blade TV EDITION is a recompilation of the six part film series with added scenes that were not animated. The series will be directed by the original creator Yunosuke Yoshinaga. Returning cast members include Souichiro Hoshi as Arrow, Shiwa Saito as Sigyn Erster and Yuichi Nakamura as King Hodr. There will also be a new opening and ending song sung by Sayaka Sasaki and Aira Yuki respectively. 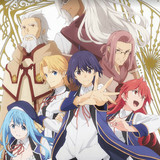 Broken Blade TV EDITION will be available to Crunchyroll’s audience in the following territories: France and DOM/TOM, Belgium, Switzerland, Andorra, Netherlands, Luxembourg, Algeria, Tunisia, Morocco, Canada, Italy, Spain, Portugal, Germany, Austria, Liechtenstein, Poland, Denmark, Hungary, Czech Republic, Romania, Bahrain, Cyprus, Iran, Iraq, Israel, Jordan, Kuwait, Lebanon, Oman, Palestine, Qatar, Saudi Arabia, Syria, United Arab Emirates, Yemen, Egypt, Comoros, Djibouti, Eritrea, Libya, Mauritania, State of Palestine, Somalia, and Sudan.